On October 1, 2012 the US Federal Transit Administration (FTA) and Department of Transportation (DOT) finalized and released Circular 4702.1B which clarifies and explains guidelines for Title VI language and translation requirements. Previously the DOT language requirements were confusing. Some transportation agencies did not understand that the language requirements applied to them. To address the confusion, the DOT and FTA released the circular to provide better guidance and LEP resources. The FTA and DOT are acting in response to Executive Order 13166 mandating that all organizations receiving federal funding must comply with Title VI, including providing language access for limited English proficiency (LEP) individuals when needed. Here is a description of the Federal Transit Administration and Department of Transportation Title VI language and translation requirements. The Department of Transportation Title VI requirements state that transit providers must take reasonable steps to ensure meaningful access for limited English proficiency (LEP) individuals to benefits, services, information and other important activities. 1. Languages Spoken And To What Level—How many LEP people are eligible to be served by and come into contact with the transit agency, and what languages do the LEP populations encountered speak? 2. Contact LEP Ridership Has With Services—How frequently do LEP people come into contact with transit program? 3. Importance Of Service To Population—How important is the program, activity or service to the LEP people’s lives? 4. Cost And Resources Have—What resources are available for outreach to the LEP population, and what would that outreach cost? DOT guidelines are flexible when it comes to developing a Language Assistance Plan, but LEP plans at a minimum must include the results of the Four Factor Analysis with a description of the LEP population served, how language services are provided for each language and how the LEP population is given notice of the availability of language assistance. Further, the Language Assistance Plan must describe how the transit agency will evaluate and update its LEP plan and how it will train employees to provide timely and reasonable language assistance to LEP individuals. Additionally, Transit Authorities that provide service for 50 or more fixed route vehicles in peak service and are located in an area with a population of 200,000 or more must prepare and provide reports on demographic data including a demographic breakdown of ridership by race, English proficiency, language spoken at home, household income and travel patterns. The results of these reports must be submitted every three years in the transit authority’s Title VI Program. Translations must be in each LEP language group that is 5% of the total population eligible to be served or 1,000 people (whichever is less). Providing these translations shows compliance and provides a “safe harbor” for transit providers that receive federal funding. Anyone receiving DOT funding or any Federal Agency has language requirements under Title VI. The DOT regulations cover all 50 US states plus Puerto Rico and Guam. Part of accepting federal funding entails finding ways to meet requirements. How Are Title VI Plans And Circular 4702.1B Implemented? Implementation for Title VI is continual under Circular 4702.1B. The timeframe for transportation agencies to submit their program is on a rolling basis. Not all agencies submit at the same time. Agencies that were to submit their Title VI programs between October 1, 2012 and March 31, 2013 were given the due date of April 1, 2013 to submit their Title VI plans. All other agencies are required to submit their Title VI plans under the new guidelines per their new expiration schedule. All recipients of federal funding must submit a Title VI Program every three years (TEAM), that must be approved by the recipient’s Board of Directors or governing body. Agencies must submit their program with the different elements to the DOT at least 60 days before their previous plan expires on a three year cycle. Transit providers are evaluated on a rolling basis. There are rotating compliance reviews every three years. 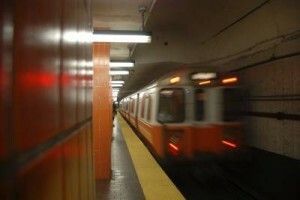 The FTA may send someone to ride the system and ask for information. Otherwise, the FTA may wait until the transportation agency submits their three year plan. Upon review of the transit provider’s Title VI program, the FTA will make a determination that the program is in concurrence, in review or expired. If the program is determined to be in concurrence the FTA will send a concurrence letter. If someone complains that there are no services in place, the FTA investigates the complaint and decides what action to take from the agency. Depending on the severity of the violation, the FTA can place restrictions on drawdown of grants or the ability to apply for new grants. If there is no process in place or there was a grievous mistake, then the FTA can freeze access to federal funds. The FTA can freeze future funds, the ability to apply for future grants and funding, or even freeze all access to current funds. If remedial action has been taken against an agency for failing to comply with Title VI requirements, then the transit agencies board must submit and show approval for a Remedial Action Plan to rectify the errors. The DOT and FTA want to make it clear and easy to comply with Title VI language requirements, and have provided sample checklists, templates, standards, policies, tables and maps to consult when preparing their Title VI plans. For a more in-depth look at the FTA and DOT Circular 4702.1B Title VI language, translation and interpreting requirements click this link. The important thing to know is that transit providers have now been given clear guidelines for Title VI including specific requirements for providing language access through translation and interpreting for LEP populations.